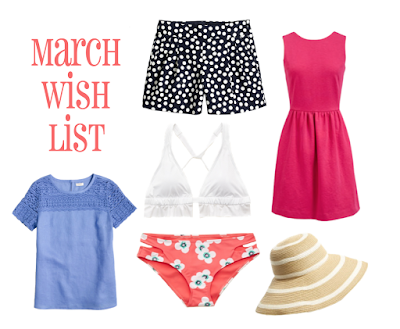 Yesterday was the first day of spring and it seemed like the perfect opportunity for a wishlist post! It's the perfect time to start looking for that perfect color of chino shorts or your new go-to summer dress. I was so excited to break out my short sleeve shirts and sandals when it warmed up last week and it got me looking for some new spring essentials! 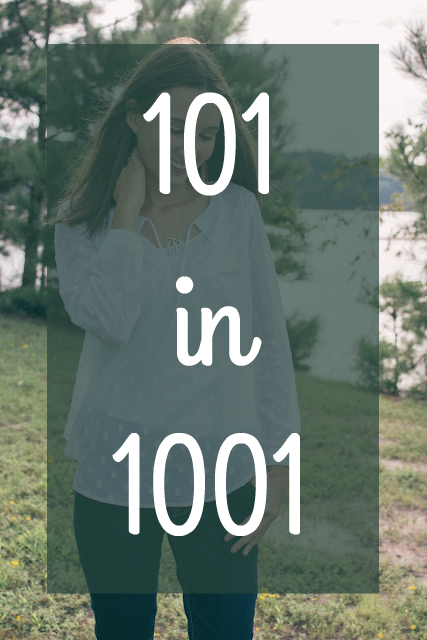 Shirt: I'm always looking for cute short sleeve shirts to wear to school in the spring. I love the blue color of this one and the crochet detailing. It's simple, but it's unique and would look super cute with some white jeans. Shorts: I usually stick to solid colored chino shorts during the spring and summer, but I'm really trying to break out this year. I think these shorts are perfect, because they are still classic but have a fun twist with the polka dots. Bikini(Top/Bottom): This year Aerie has so many cute bikini's I already ordered two, but then I found this one and I'm really trying to resist the urge to order it. I love the fun coral bottoms paired with the simple white top, plus I LOVE the ruffle detailing on the top. Dress: These are my go to dresses, I seriously want them in every color. They are simple and can be dressed up or down. I love wearing them to school with a simple jean jacket and sandals. I love this deep berry pink because you really can make it work in any season! Hat: I've never really been much of a hat person, but I really want to try one out this spring and summer. This hat is perfect, because it is a light neutral color(not too bold) and it has stripes. I think you could wear it with a super cute outfit or throw it on when you are headed to the pool.